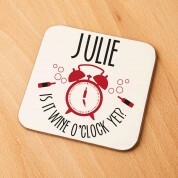 A brilliant gift idea for a wine lover to use at the end of a hard day! 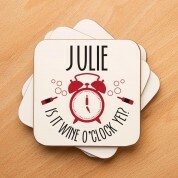 Our wine o'clock coaster is a novelty gift for any occasion (it makes a great stocking filler when on a budget). 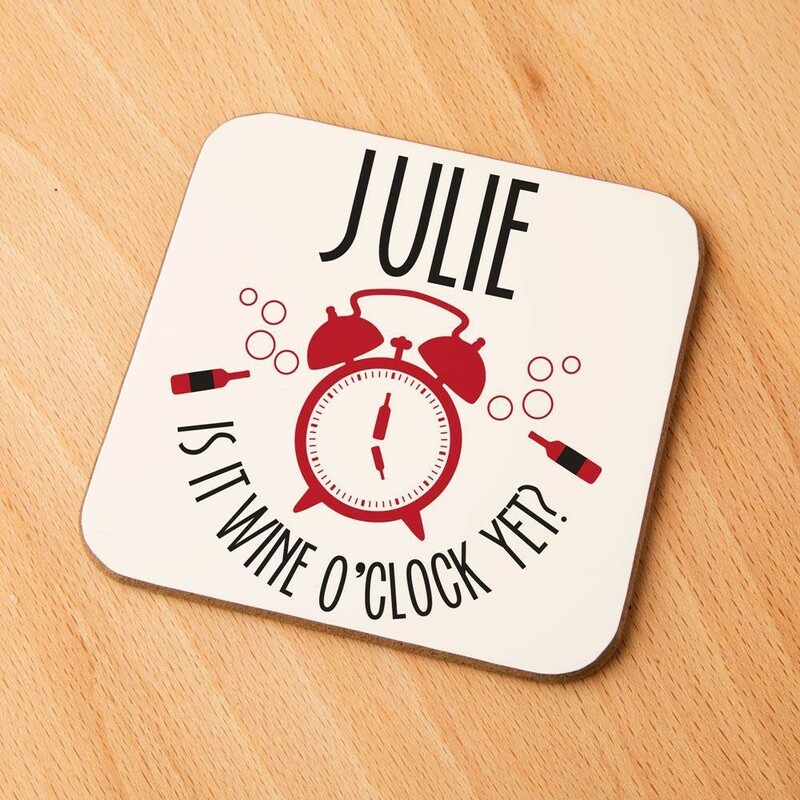 It is personalised with the recipient's first name at the top of the coaster, and reads “Is it wine o'clock yet?” It features a a big red alarm clock and is surrounded by bubbles. We think it will look great sitting on the coffee table for visitors to see. 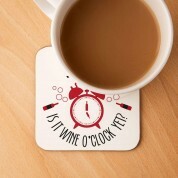 The recipient wont own anything quite like it and will bring a smile to their face whenever they use it.